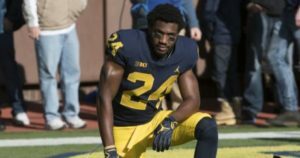 This is a really weird story involving Jabrill Peppers, some weed, a homeless woman, a murder, and an unregistered Glock (LINK). 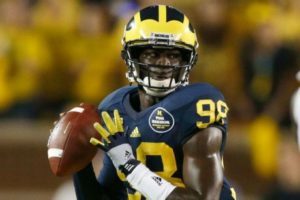 Former Michigan linebacker Mike McCray II is now an analyst for the Wolverines (LINK). 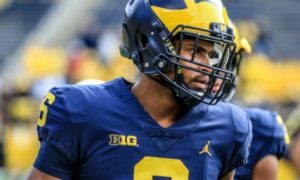 Aaron McMann talks about how to replace Devin Bush, Jr. (LINK). Nicole Auerbach from The Athletic writes about Duke QB Daniel Jones, who could end up being a high NFL draft pick (LINK). Micah Mazzccua – OG – Baltimore (MD) St. Frances: Mazzccua committed to Michigan (LINK). Deontae Craig – DE – Culver (IN) Culver Academies: Craig is a 6’4″, 230 lb. 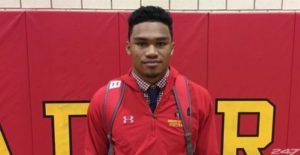 prospect with offers from Indiana, Michigan State, and Northwestern, among others. 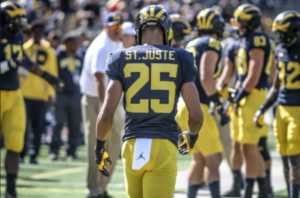 He’s a 3-star, the #26 strongside end, and #536 overall. 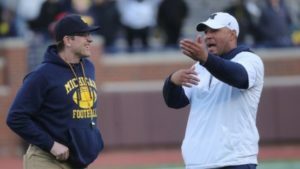 He visited Michigan last weekend for the basketball game against Michigan State, which is when the coaching staff extended the offer. 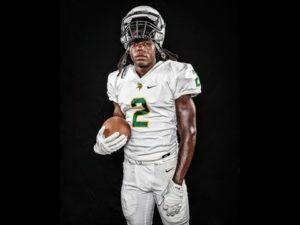 Colby Dempsey – CB – Fort Lauderdale (FL) St. Thomas Aquinas: Dempsey is a 5’11”, 160-pounder with offers from Boston College, FAU, and Kentucky, among others. He claims a 4.34 forty. 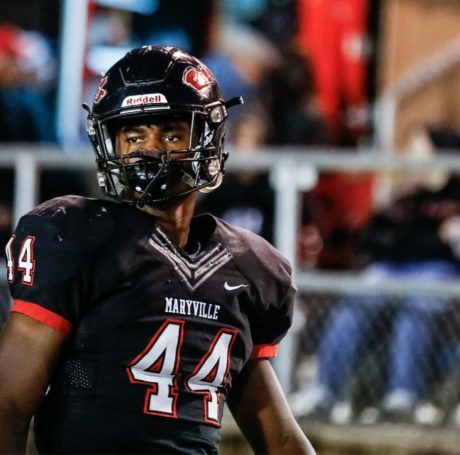 Tee Hodge – RB – Maryville (TN) Maryville: Hodge is a 6’2″, 220 lb. prospect with offers from Kentucky, Louisville, and Tennessee, among others. He’s a 3-star, the #30 running back, and #377 overall. He claims a 4.47 forty. Hodge is the nephew of Kentucky and Green Bay Packers wide receiver Randall Cobb. 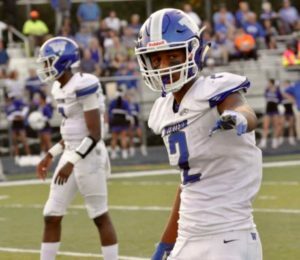 Lorando Johnson, Jr. – CB – Lancaster (TX) Lancaster: Johnson is a 6’0″, 181-pounder with offers from Alabama, LSU, Ohio State, and Texas A&M, among others. He’s a 4-star, the #8 cornerback, and #79 overall. Dominic Mammarelli – TE – Naples (FL) Naples: Mammarelli, who committed to Miami in March of 2018, is a 6’4″, 235-pounder, and he’s ranked as a 4-star, the #4 tight end, and #138 overall. 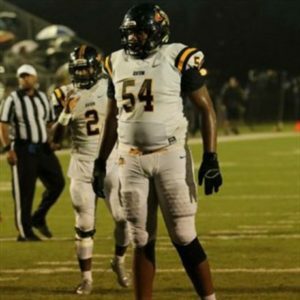 Jamari Stewart – DE – Port Saint Lucie (FL) Centennial: Stewart is a 6’4″, 215-pounder with offers from Auburn, Miami, and Virginia Tech, among others. He’s a 3-star, the #49 outside linebacker, and #702 overall. 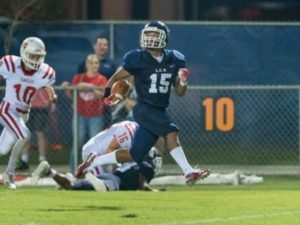 Kristian Story – S – Lanett (AL) Lanett: Story is a 6’1″, 206 lb. 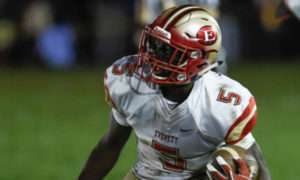 prospect with offers from Alabama, Notre Dame, Penn State, and Tennessee, among others. He’s a 4-star, the #9 athlete, and #111 overall. 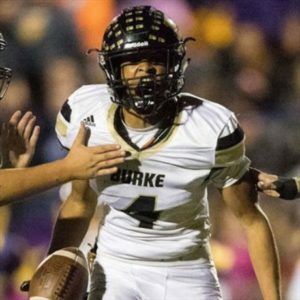 As a junior in 2018, he threw 40 touchdowns and 8 interceptions, ran for 16 touchdowns, and made 9 interceptions on defense. 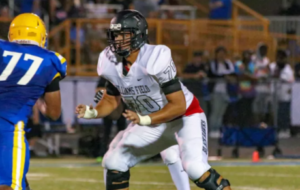 Dallas Fincher – OG – Kentwood (MI) East Kentwood: Fincher committed to Michigan State. 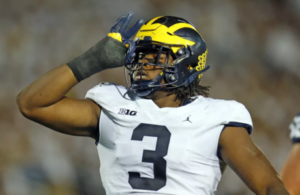 Aaron McMann talks about Michigan’s defensive tackle situation for 2019 (LINK). 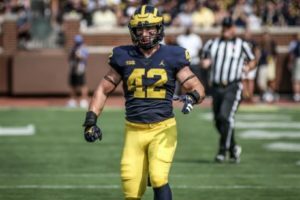 Michigan landing defensive end transfer Mike Danna has made Jim Harbaugh more comfortable with the defensive line situation (LINK). 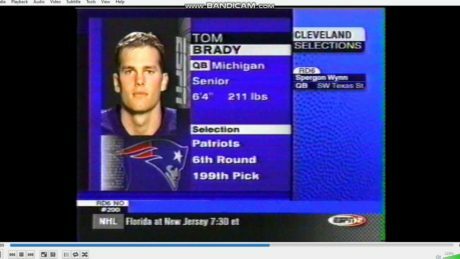 If you want a Tom Brady rookie card, it might cost you more than $400,000 (LINK). 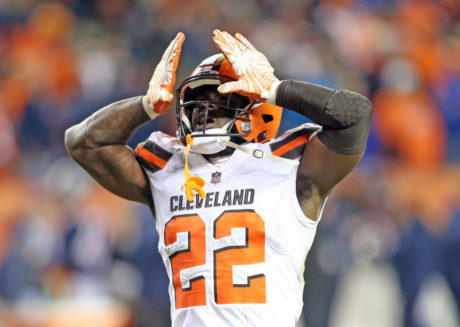 O’Maury Samuels got probation (LINK). 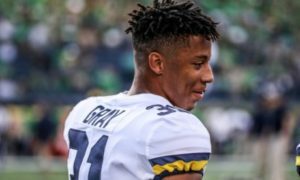 The Athletic‘s Ted Nguyen says Dwayne Haskins should be a 2nd rounder (LINK). Feel free to follow Ms. Elle Johnson on Twitter. 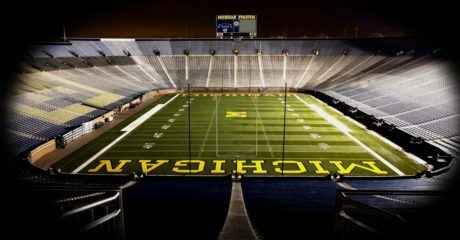 She posts a lot of good Michigan-centric pictures. 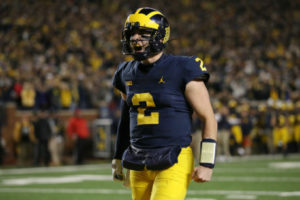 Go Blue! 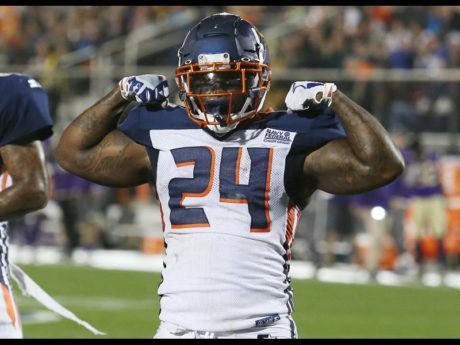 Orlando Apollos running back De’Veon Smith had the best game of his professional career with 8 carries for 52 yards, including a nice 28-yard run. The Apollos stayed undefeated with a 21-17 win over the Memphis Express. Ty Isaac, RB (Birmingham Iron): Isaac had 1 carry for 3 yards and 1 catch for 9 yards in a 28-12 win over the Atlanta Legends. 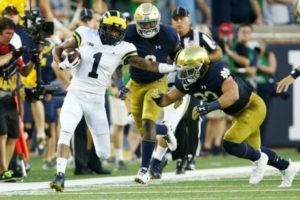 Denard Robinson, RB (Atlanta Legends): Robinson had 3 carries for 7 yards and 2 catches for -2 yards in a 28-12 loss to the Iron. Channing Stribling, CB (Memphis Express): Stribling made 1 tackles in the 21-17 loss to the Apollos.